Massachusetts was considered to be a leading candidate to be a part of states where online gambling is regulated. The state has to wait another year for online gambling to come into action. 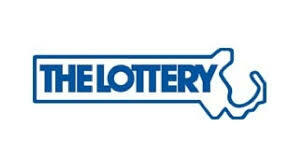 Lottery Commissioner Anthony Salvidio was straightforward saying “What is it going to take for legislators to realize this, a complete collapse of the revenue of the lottery before they get on this?” he asked. One of the reasons online gambling is being reviewed is to understand if it is going to make any difference on sales in retail stores. If the online gambling is regulated, will the players step out of their place and buy tickets from the retail outlets? One thing they have to understand is that online sales are not a replacement for traditional lottery retailers. Rather, it would be a modernization, a way to ensure the lottery continues to thrive as player behaviors evolve. There remains no credible evidence of online gambling having a negative impact on brick-and-mortar gaming. The competition is already at the peak in the gambling industry. The states where online gambling is regulated are already expanding and reaping profit out of it. It is imperative for Massachusetts to take a decision on online gaming sooner than the later.